Building and maintaining a website efficiently requires the utilization a variety of tools, resources and skill sets. Without access to the proper software, every menial task can become a difficult burden on your everyday workload, hindering you from focusing on the more important aspects of eCommerce. Everything that can be outsourced, automated or simplified should be, for the sake of productivity. One of the keys to a successful website is the back end interface which is utilized to control and update the site on a regular basis. Without maximum control over your site’s appearance and functionality it can be very difficult to portray the image of professionalism and reliability that is needed to bring your online business to the next level. Themes are a way for you to quickly change the appearance of your site without the need for advanced coding or web design knowledge. The number one fear most people have about starting an online business is the fear that they will not be able to have a professional looking website due to their lack of experience. CMS themes integrate seamlessly with your site’s content management system, letting you instantly change the appearance, functionality and backend interface of your site, without changing the content of the site. There are thousands of themes available online that can be uploaded within a mater of minutes. Although themes are relatively simple to use, every theme has different characteristics and options that let you modify your website. 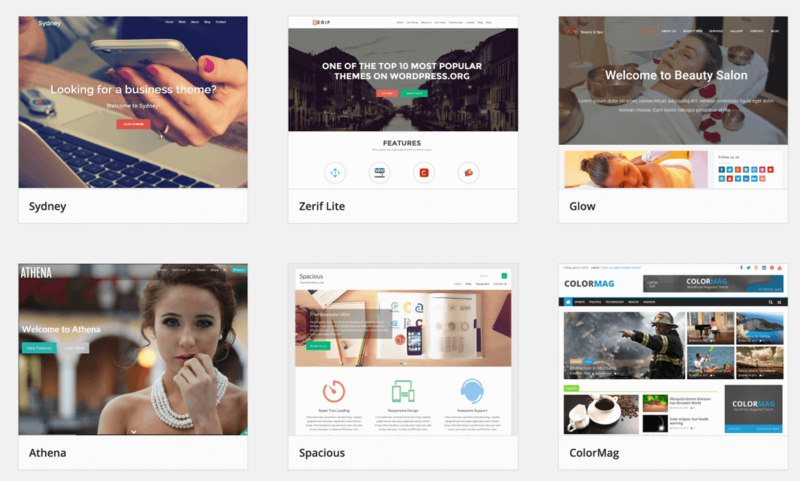 After uploading your theme it is a good idea to explore your CMS and see what custom options your theme has available. Some themes, like the WordPress Thesis theme, offer a wide selection of settings that give you maximum control over site design and onsite features. If you are new to using content management systems, then you should considering starting with WordPress as it offers a flexible platform that can be used to become acquainted with backend management. One of the best ways to get the most out of your theme is to establish contact with the theme’s developer. Many times themes will come with access to forums as well, which are full of experienced members that can provide valuable insight if needed. One way you can enhance the functionality of your WordPress theme is by adding plugins that allow you to do just about everything imaginable. If you’re having trouble carrying out a specific task you can be sure that there is most likely a plugin available that can assist you. Plugins can be installed just as quickly as themes, and are used to add integrated features to your content management system. There are literally hundreds of plugins available, with new additions being added to the library on a daily basis. In WordPress you can search for and install plugins from directly within the user interface, which is another primary example of why it is a suitable solution for novice webmasters.